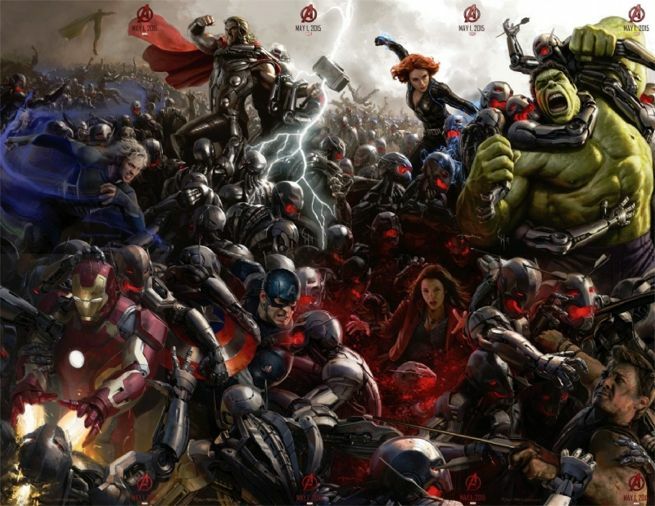 More scene details for Avengers: Age of Ultron have leaked online, with LEGO, of all sources, as the culprit. LEGO trackers Brickset uncovered new images and designs for six Age of Ultron LEGO sets that will accompany the Avengers sequel next spring. And while the sets aren’t necessarily direct translations of Age of Ultron, they do reveal finer details regarding some of the film's scenes. For a look at the LEGO sets, head over to Brickset. The first spoilerific set, “Duel With Hydra,” suggests that the evil organization will return in Age of Ultron. Remember last week when Marvel said that Agents of S.H.I.E.L.D. would tie into Age of Ultron in some capacity? Well, we think we found our link. Hydra has been a major part of Agents of S.H.I.E.L.D. this season, and we wouldn’t be surprised if the series leaves Hydra with a new status quo heading into Age of Ultron. Next up is “Hulk Buster Rescue Mission,” which includes a LEGO figure called “Ultron Prime.” This is pure speculation here, but we’re guessing that Ultron will advance through several different models throughout the film and become more sophisticated with each iteration. Perhaps Ultron Prime will be his final stage of evolution. Then there’s “The Avengers Quinjet Chase,” which confirms that the Avengers’ iconic jetplane has a spot in Age of Ultron. Based on the LEGO set, the jet looks like a faithful adaptation of the comics' Quintet. The set also features a Vision figure, which gives us another unofficial look at the android, and an “Ultimate Ultron”. So yeah, it’s pretty safe to bet that Ultron will model himself after Apple’s iPhone release strategy in this movie. Avengers Tower will make it debut in a big way, as the “Attack on Avengers Tower” set reveals. Along with Tony Stark’s remodeled pad, the set will include “Iron Legion Drones.” The set’s photo shows a few identically-matched Iron Man drones, which leaves us thinking that Tony Stark will keep making those remotely-controlled Iron Men he introduced in Iron Man 3. Last up, we have “Burglary at the Hydra Fortress,” which includes Quicksilver, Scarlett Witch, and Baron Von Strucker. When we last saw the three in the Captain America: The Winter Soldier’s post-credits stinger, Von Strucker had the twins contained in holding cell. We’re assuming that the Avengers will learn of the Twins’ captivity early in the film, and then bust them out before handing over those shiny Avengers Membership ID cards. As for that sixth LEGO set, it’s simply “Iron Man vs. Ultron,” featuring the Ultron drones previously seen in the trailer. Not much to report there. According to Brickset, the LEGOS will hit store shelves sometime in April 2015.